Is it very expensive? 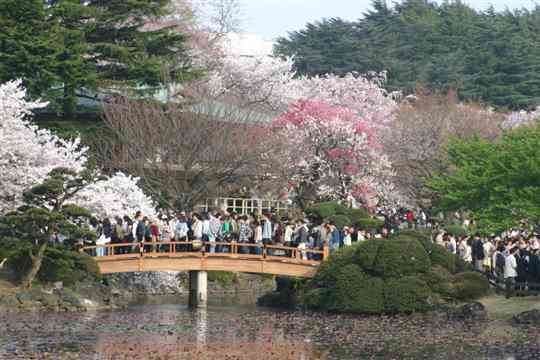 Cherry blossom season is coming in Japan and a lot of people would love to visit Japan, but afraid it can be very expensive. Actually it is not so expensive. Except transport. I want o list expenses I had on my 10 days/9 nights visit to Japan. It was couple years ago and prices probably are up now, but it still can be good for orientation. Currency exchange rates you can find at XE. I didn’t include souvenirs or some snacks to this list, but that doesn’t cost much. As you can see the price for 10 days visit would be around 1200USD/900EUR, but more then half of it is price for transport and JR pass saves at lot. It would be even more expensive without it. If you are staying in one place and not alone as I was (you can save on accommodation) the price will be half of this and that won’t look so expensive. I’ve been wondering just how expensive it would be to visit Japan – interesting to know that transport is the greatest cost…I would have thought accommodation! It depends in which hotels you want to stay. Hostels doesn’t cost so much. Indeed, I am! Although transportation is costly , you will be satisfied enough to see there country . JAPAN is really nice to live in! I have visited Japan by the time my cousin took me there once. In fact i have customized rubber bracelets of speedy wristbands as my tokens! love it! thank you very much for this informative post! I am planning to go to Japan this July (Tokyo entry – Osaka exit) and will also do Chiba and hopefully Hiroshima on the side, if time permits. My sister and I will be staying in Japan for only 6 days (July 15-20). We’re planning to buy Japan Rail Pass, which is expensive but is the pass worth it? Thank you so much in advance. I’ll be waiting for your response.